It's almost here! The AASLH Annual Meeting is right around the corner--both on the calendar and in your back yard. Beginning on September 17, historians, curators, archivists and lovers of local history from around the country will be meeting in Saint Paul MN to network and exchange ideas. We hope to see you all there too! The Minnesota Historical Society is pleased to announce the second round of Legacy Research Fellowships. Applications are due October 1, 2014, with Fellowship research to begin January 1, 2015. Murray County Historical Society, Slayton MN, seeks an Inventory Specialist to fill a part time temporary position to complete a photograph inventory project. Deadline: September 5, 2014. Northern Bedrock Historic Preservation Corps seeks a Crew Leader. Position is temporary full-time status. Deadline: September 12, 2014. Northern Bedrock Historic Preservation Corps has positions for four Historic Preservation Crew Members. Positions are temporary full-time status. Deadline: September 12, 2014. Minneapolis Institute of Arts seeks an Audience Insight Analyst. Deadline: September 19, 2014. The University of St. Thomas, Department of Art History, seeks applications for a full-time, tenure-track Assistant Professor of Art History. International Institute of Minnesota, St. Paul MN, seeks a Historical Research Intern. Owatonna Area Chamber of Commerce & Tourism seeks a Director of Conventions and Tourism. The Henry Ford, Dearborn MI, seeks qualified applicants for the position of Object Conservator. Amercian Association for State and Local History is actively soliciting applications for the AASLH President / CEO position. Landmark Center, St. Paul MN, announces the return of the Mid-Autumn Moon Festival, Sunday September 7, 2014, 4 to 6 p.m. Free to the public. Washington County Historical Society, Stillwater MN, hosts Ken Martens, author of The Perilous St. Croix River Valley Frontier Sunday September 7, 2014, 2 p.m. for a presentation on the American Indian settlement, history and legends of the St. Croix River Valley. For more information call 651-439-5956. Winona County Historical Society, Winona MN, is offering six public educational cruises on the Cal Fremling Floating Classroom. Cruises will offer topics about Winona history, the river, the environment and more. See website for costs and details. Otter Tail County Historical Society, Fergus Falls MN, holds its Final Downtown Fergus Falls Mystery Tour, Thursday September 11, 2014, 5:30 p.m.
Sherburne History Center, Becker MN, invites quilters of all ability levels to learn to sew and tie flannel tied quilts, Thursday September 11, 2014, 2 to 5 p.m. For more information call 763-261-4433. Kandiyohi County Historical Society, Willmar MN, hosts Rep. Dean Urdahl, who will give a presentation on the conspiracy of the death of Abraham Lincoln, Thursday September 11, 2014, 7 p.m. The presentation will be based on his book, Conspiracy! Free to the public. Sherburne History Center, Becker MN, is pleased to welcome Rhonda Fochs, author of Minnesota’s Lost Towns. Fochs will be presenting on her research and signing books on Saturday September 13, 2014, 11 a.m. Free to the public. Rockford Area Historical Society, Rockford MN, invites the public to attend its fundraiser murder mystery dinner, "A Bridge Street Murder" Saturday September 13, 2014. Full costumes welcomed. For more information or to make reservations call 763-477-5383. Denmark Township Historical Society, Washington County MN, hosts Helen Johnson Ruedy of Hastings, age 93, and Betty Lou Johnson Hamman of Wayzata, age 84, who will talk about their experiences as school children at the one-room Valley School from 1926 to 1943, Tuesday September 16, 2014, 7 p.m. For more information call 651-357-4244. Minneapolis Central Library, Minneapolis MN, hosts Labor Historian Peter Rachleff as he discusses the present and the past of Minnesota's Iron Range in the era of World War I, Tuesday September 16, 2014, 7-8:30 p.m. For more information call 612-543-5669. Register online. Stearns History Museum, St. Cloud MN, asks you to join them Wednesday September 17, 2014, 6:30 p.m. for the Granite City Book Club where Minnesota author Connie Claire Szarke will lead the discussion and answer questions about her book Delicate Armor. Delano-Franklin Township Area Historical Society invites the public to celebrate the time-saving appliances we have used in the past, present and into the future by dressing up as an appliance or dressing up your appliance and joining their parade. For more information call 763-954-1400. LeDuc Historic Estate, Hastings MN, announces its Annual LeDuc-Simmons Country Market and Art Show, Saturday September 20, 2014, 9 a.m.- 4:30 p.m.
Minnesota State Public School Orphanage Museum, Owatonna MN, will hold the second annual "The Children Remembered - Lighting the Path Event" Saturday September 20, 2014, 7 p.m. The event will include special music, a luminary walk with “History Stops”—including a glimpse into the renovated Root Cellar, a presentation by Barry Adams, and a concluding ceremony at the Children’s Cemetery. Heritage Organization of Romanian Americans in MN and the Romanian Genealogy Society asks you to join them for the premiere of a new documentary film about early Romanian immigration to Minnesota, Saturday September 27, 2014, 3 to 6 p.m at the Dakota County Historical Society, South St. Paul MN. Carlton County Historical Society, Cloquet MN, announces its third round of Northwest Paper Company "Mountie" posters and calendars now on exhibit. For more information call 218-879-1938. Mark your calendar now to attend the 2015 Explore Minnesota Tourism Conference, February 3-4, 2015, at the RiverCentre in St. Paul MN. Watch for updates on their web site. The National Trust for Historic Preservation, "Past Forward: The National Preservation Conference," November 11-14, 2014, Savannah, GA.
Join Minnesota's Civil War Task Force on a trip to Tennessee, November 13-17, 2014, to retrace the steps of several MN regiments and commemorate the 150th Anniversary of the Battles of Franklin & Nashville. Round-trip transportation, lodging, meals and guides all included in an affordable travel package. Contact Randal Dietrich at 651-259-3113 for more information. Space is limited. National Archives and Records Administration offers support for projects that will result in archives reaching audiences through digital literacy programs and workshops, new tools and applications, and citizen engagement in archival processes. Draft deadline (optional): October 1, 2014. 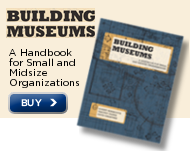 Museum Assessment Program helps small and mid-sized museums strengthen operations, plan for the future and meet national standards. Deadline: December 1, 2014. The American Swedish Institute co-hosted a cross-cultural textile exchange with the Somali Artifact and Cultural Museum Saturday August 23, 2014, in a pop-up museum space in downtown Minneapolis. The group told stories, enjoyed Swedish scones and Somali tea while sharing weaving techniques from Somali, Swedish, Norwegian and Finnish traditions. Cross-cultural partnerships with others are a great way to increase a museum's strength and capacity. Partnerships allow museums to access new networks, develop collaborative skills and raise the profile of the museum in the community. Collaborative programming is pivotal in engaging and empowering culturally diverse communities and illustrates a commitment to education and the concept of lifelong learning.